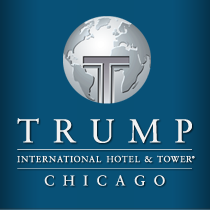 As a resident of Trump International Hotel & Tower® Chicago, enjoy having a 23,000 square foot premier spa and health club as an extension of your home. Located on the 14th floor of the tower with views from the most exclusive vistas in the city, the panorama of advanced cardiovascular equipment, free weights, stretching stations, and Hammer Strength weight machines. Amplify your workout with the help of the health club's staff of personal trainers. The inspiration of floor to ceiling views looking out along the Chicago River from the 75' private indoor heated swimming pool is an unparalleled experience. Enjoy the three full-length lap lanes or relax in the serenity of plush chaises. In-home dining services are available to guests of the pool, delivering your snack, meal or refreshments while you relax.